As business execs take a more active role in making technology decisions, they’re increasingly turning to their internal IT department for guidance. IT departments are in the middle of what some might call an identity crisis. Plenty of corporate IT teams still wear a number of traditional hats: they're making most of the company's technology investment decisions, resetting forgotten passwords, and ensuring that all underlying infrastructure runs smoothly. But as we move farther and faster into a business world defined by cloud, mobile devices and all things digital, IT teams face a new challenge from end users. Employees today are more tech-savvy; they're aware of the vast technology options available to them, and more confident to adopt solutions on their own. This "shadow IT" behavior is a very real challenge in organizations today. It also provides a great opportunity for the IT department to play the role of business consultant, not just tech expert. Today, business leaders look to solve their business challenges with technology. Whether they do so on their own or with the IT department largely depends on how IT interacts with an organization's departments. The solution is not necessarily stricter IT controls, but rather collaboration with their front-line business counterparts. To do so, tech departments must sharpen their own soft skills in order to support their colleagues. This evolution of IT departments' roles and responsibilities may position them as more valuable to an organization’s success. According to a 2015 CompTIA study, more than half (51%) of business executives rate IT as one of the top sources they turn to when making strategic technology decisions. Similarly, seven in 10 organizations say their IT departments still have a primary role in the corporate technology decision-making process – though other teams are becoming more involved. Forty-nine percent of business professionals agree that departments including HR, finance, sales and marketing are weighing in on technology implementations. These departments are looking to technology as part of strategy – everything from customer retention to market expansion and risk management. Due to this collaboration, the objectives IT professionals support will by definition center around business objectives, rather than simply technology decisions. IT professionals cannot undo the reality that business and technology are, and will continue to be, intertwined. They can, however, take advantage of this shift by augmenting their technical chops with business acumen and communication skills. Developing metrics to measure collaboration: Almost all teams have projects or goals in place that require IT's expertise. To tangibly demonstrate their value across the organization, IT professionals should take the initiative to document and measure the impact of the work they do. The more IT teams can prove that their efforts are driving revenue growth, customer loyalty or cost-savings to the C-suite or board, the more essential they become. Educating the lines of business: IT pros need to extend the research and knowledge sharing that goes on within their ranks to the rest of the organization. 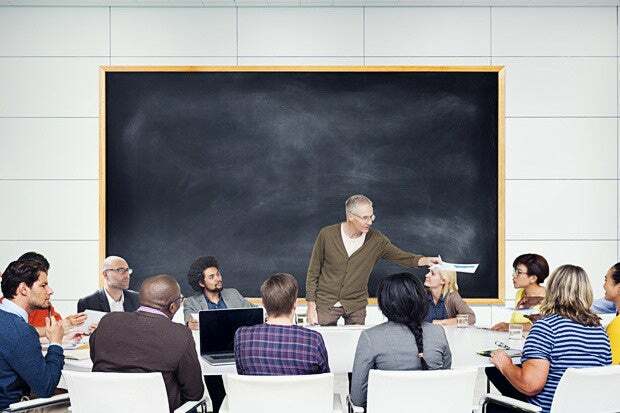 By keeping end users up to speed on emerging technologies, helpful tools and productivity shortcuts, or overseeing regular cybersecurity workshops, IT can cement its status as a learning resource. Using data more effectively: Most businesses today are overwhelmed by the volume of data at their disposal. IT teams can use this opportunity to implement tools and processes that make big data smaller (and more actionable) for other departments. Pursuing any of these new responsibilities hinges on IT's ability to become proactive consultants. This requires not only a mindset adjustment, but also that IT professionals supplement their current skillset with business-centric qualities. Specifically, IT teams need to learn to manage projects across technical and business departments. They must also get comfortable with being flexible, and ready to adapt when deadlines, objectives or other unforeseen variables arise. More than ever technical leaders need a knack for problem solving, an analytical approach to understanding business challenges and identifying tools, along with processes or policies needed to solve them. Underpinning each of these new responsibilities is the requirement to communicate effectively, both verbally and on paper. For IT to become strategic advisors, they have to know how to convey information in a way that resonates with end users and executives– and how to adjust their methods to each unique audience. Developing these skills may take time. But by investing efforts to evolve alongside the business as a whole, IT professionals can become a valued strategic partner within the organization. Todd Thibodeaux is the president and chief executive officer of CompTIA. Todd has more than 20 years of experience in the IT industry.